The dead can't speak to us, Professor Madoc had said. But that was a lie. The body Patrick Fort is examining in anatomy class is trying to tell him all kinds of things. But no one hears what he does, and no one understands when he tries to tell them. Life is already strange enough for Patrick - being a medical student with Asperger's Syndrome doesn't come without its challenges. And that's before he is faced with solving a possible murder, especially when no one believes a crime has even taken place. Jen and Hugh Maddox have just survived every parent’s worst nightmare. They sit by the hospital bedside of their 15-year-old daughter, Lana, who was found bloodied, bruised, and disoriented after going missing for four days during a vacation. As Lana lies mute in the bed, unwilling or unable to articulate what happened to her during that period, the national media speculates wildly. Without telling Hugh or their pregnant older daughter, Jen sets off to retrace Lana’s steps, a journey that will lead her to a deeper understanding of her youngest daughter, her family, and herself. 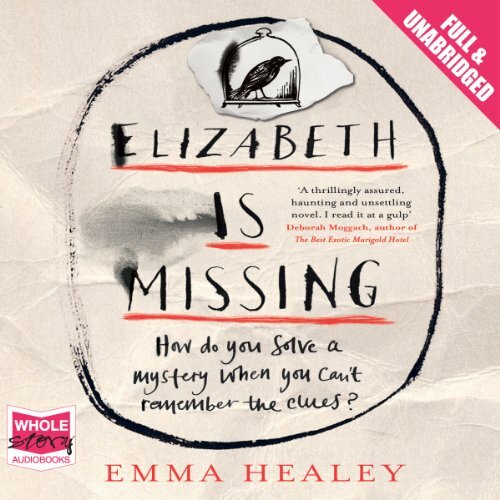 Winner of the Costa First Novel Award 2014, Elizabeth is Missing is the debut novel written by Emma Healey and is an unabridged mystery audiobook expertly narrated by Anna Bentinck. Audible listeners follow the story of forgetful Maud, who obsesses over finding her missing friend, Elizabeth. It’s a daunting task to search for clues and then forgetting them as soon as they are found. With her memory failing she must rely only on her intuition. It’s never led her off track in the past… Or has it? A lighthearted and absorbing listen. Maud is forgetful. She makes a cup of tea and doesn’t remember to drink it. She sometimes thinks her daughter Helen is a total stranger. But there’s one thing Maud is sure of: Her friend Elizabeth is missing. The note in her pocket tells her so. And no matter who tells her to stop going on about it, Maud will get to the bottom of it. As the daughter of a 91 year-old widow who still thinks her mind is sharp as a tack, I found this book particularly poignant. 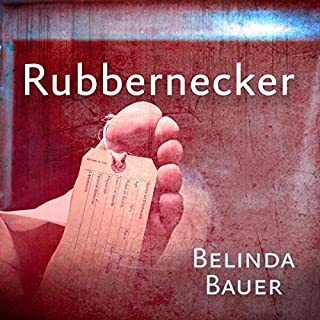 The author shows great insight into the mind of her heroine, its intertwining of past and present and the confusion of drifting between the two. The portrayal is sensitive and sympathetic, suggesting familiarity with the problems of encroaching dementia. The interwoven story of Maud's youth and the mystery which has left its mark on her emotions is wonderfully told and delightfully connected with her perceptions of the present day. Her distress at being unable to find her only friend, so important to older people who have lost just about everyone else in their lives, is very real. The conclusion to the mystery is a wonderful culmination to the book, which can have no happy endings. 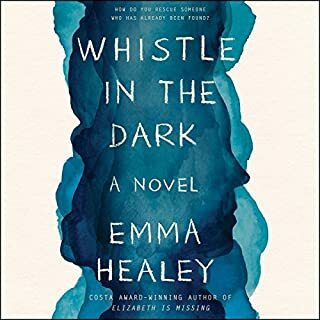 I enjoyed the way details of present objects led to recollections of the past and connected the two stories together. The narration of this book was particularly outstanding. Anna Bentinck gave every character their own, recognisable voice and her portrayal of Maud, the central character, was sensitive and appropriate. I really enjoyed this book and would look for others by the author and narrator. Fantastic Book! I loved every minute of it. I have recommended this book to several of my friends and family. Well, Maud of course, but also the granddaughter who was so kind to her when everyone else was treating her like a silly old woman. She didn't assume that Maud had lost her sense of humour just because she was old. Which character – as performed by Anna Bentinck – was your favorite? All of them! They were all well rounded characters and either lovable or loath-able (is that even a word?) The range of 'Maud voices' was very well done and gave great depth to the story. Who was the most memorable character of Elizabeth Is Missing and why? Maud, Helen and Peter - was that man annoying or what! Such a pompous windbag - I wanted to give him a good slap! The only thing that I kept on thinking was, why didn't Maud make a note of Elizabeth's whereabouts once she knew of them? She wrote everything else she wanted to remember down, but not that most important thing ... but then, there wouldn't have been this wonderful story. If you require a clear narrative in your detective fiction, you will not like this. The POV of a woman suffering from dementia makes it a very compelling and radically different type of storytelling. But I loved it. I fell in love with the character. My heart went out to her, and Anna Bentinck's narration was superb. Beyond simply being a very innovative approach to narrative, it really gave me a perspective on people suffering from dementia. I'm never going to cluck my tongue at my mother again. 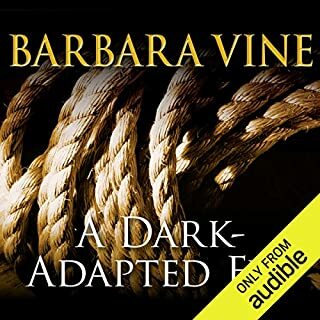 Where does Elizabeth Is Missing rank among all the audiobooks you’ve listened to so far? One of the top stories I have listened to. two.women missing 50 years apart a whodunit with a difference! The main characters narration and her sudden confusion as to who this woman in front of her is. 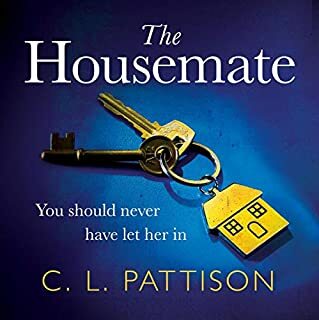 The story itself takes the listener into how it must be for somebody suffering from dementia and how sometimes she will recognise her daughter and grand daughter then suddenly wonder who these people are. Although the character is suffering from dementia, the actual story is about two missing Somerset gif th years apart. It is a who done it with many red herrings and twists that when the story ends you are left wanting to remain and hear more. If you could sum up Elizabeth Is Missing in three words, what would they be? What was one of the most memorable moments of Elizabeth Is Missing? That would give the story away! I think her voice was just right. She got Maud's vocal age very well. Both. Made me think a lot. Look forward to another book! How frail we are! The narration was wonderful, depicting Maud as an increasingly disturbed lady and a young innocent girl. I think I knew the outcome but wondered how it would resolve. I have to say I found the story and the telling deeply depressing but would have felt almost cowardly to "look away" as we so often do in society. Hopefully this will be made into a film to further increase our understanding of dementia in all its forms. Well done to Emma Healey for a brave story. The story itself is intriguing and caught my attention immediately. However the narration is beyond fantastic and brings the novel to life for me, The way that Anna Bentinck distinguishes between Maud and Mops is subtle but oh so effective - bravo!! Maud - although there were times when I had to step back and try to see things from Cara and Helen's point of view and realised what a difficult situation they are in. Have you listened to any of Anna Bentinck’s other performances? How does this one compare? many tear jerkers - mostly throw away lines about Maud's relationship with HER mother or with Helen when she was a child - caught me quite unawares. Undoubtedly Maude was my favourite character. I loved how the story switched from past to present. I became absorbed in her thought processes. I heard Anna Bentinck before in The Bone Clocks and enjoyed her performance then. I was pleasantly surprised to come across her again. Fabulous reading. Full of sensitivity and character. I always knew who was talking and felt that she gave real and consistent authenticity to each personality. I think I have enjoyed this book the most out of all the ones I have listened to so far. In my opinion the only thing that lets it down is the epilogue which I felt added nothing to the plot. What did you like most about Elizabeth Is Missing? 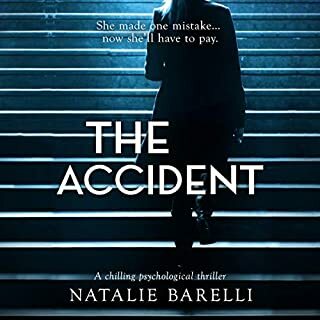 The sense of the main character's decline across the book, and the anxiety it brings out in the reader was incredibly deft and sensitively and accurately done. What other book might you compare Elizabeth Is Missing to, and why? Pretty wayward, but the world created most reminded of Franz Kafka's The Trial, with a single character roaming round and trying to make sense of the authorities. Except here, in this rather lighter-than-Kafka book, everyone is smiling and being kind to our central character, which is somehow just as claustrophobic. That where the central character was housed at her daughter's house, and her granddaughter started to take care of her. I think in the early stages, when Healey is setting out early instances of the main character's condition, when she comes to put a cup of tea down for a moment, and finds a row of cold cups of tea already there. Such a mournful, simple, beautifully rendered moment. Maud has dementia but whilst she struggles to remember what she needs to buy in the shops, where she lives or even fails to recognise her own daughter, she clings to her belief that something has happened to her best friend Elizabeth. The problem is she can't remember what she has found out and she keeps forgetting quite what she is trying to do. As she continues to try and find her missing friend, older memories haunt her and a much older mystery begins to rise to the surface. This book had me hooked from the opening chapter. The whole story is told from Maud's point of view so we really share her confusion and empathise with her struggle to pull all the clues together. The narrator does a superb job, moving effortlessly between the elderly and younger Maud. I laughed out loud at times but was unbearably moved at others. I had thought this would be a thriller with a twist, but instead it's a sad insight into the decline into dementia. Incredibly well portrayed by the narrator and cleverly expressed by the author. There is a mystery at the centre of the book but it is a sideline to the struggle Maud has in her daily life. Not gripping, but definitely thought provoking. A delightful and intriguing read. The author has both humour and a wonderful insight whilst weaving a mysterious tale. And as usual fantastically narrated by Anna Bentinck. The story line is both moving and gripping, the language flows easily and the desperation of the old woman looking for her missing friend is touching. The reading is sublime - both the voices of the young and the old protagonist is perfectly narrated. The story made me laugh out lough several times...and well up too. Narrator was brilliant, from an old lady to a irritated policeman she does it all well. I found the book very sad, no one understands her and ( like me) she forgets the words for things. The ending seemed rushed but is worth listening to just to get a sense of where we will all be in our 80's and maybe help us all understand our elderly a little more and help us to be more sympathetic and caring. I manage an aged care service and want to buy a copy of this book for all my staff. A fantastic account of what it must be like suffer from dementia. Although the story may sound a little dry from the description, don't let this fool you. I have been raving about this book since I finished it. I really enjoyed the insights into dementia as well as the rather creepy story. The plot is a clever way of combining past and present with recollection being a natural part of old age and often running alongside dementia. I particularly liked the daughter character, her barely controlled impatience at times and yet her total loyalty to her mother. I go to bed with very sore eyes and don't seem to be able to read but I can listen for hours what a wonderful experience this was. The narrator was really good with characters even when she did male voices. Loved it I will be back for more and more. I became thoroughly caught up with the story through both timelines and both mysteries. The lack of closure at the end was a little hard, because throughout the story you really felt like if we could just find out what happened then it would somehow resolve something. As the audience we get at least some of that satisfaction, but the characters really do not. And not just Maude, when you think of all the main characters you realise that this is not a story that gives a satisfying conclusion to its characters, they have had to live out their lives, regardless. A quietly disturbing thinker of a story. What made the experience of listening to Elizabeth Is Missing the most enjoyable? It is a poignant story of a woman who is afflicted with Alzheimer/dementia, and the way the book flicks back to past and present is done brilliantly. I loved the way the two stories tie up at the end. riveting listening. I cried during this book as well as laugh out loud. a great book. The narration was absolutely brilliant. 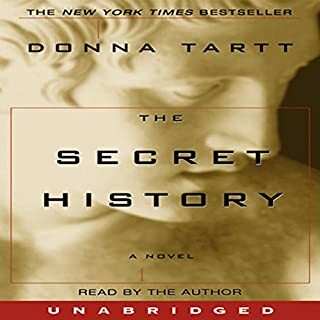 One of the best female narrators I have heard. Have listened to it twice and will do so again. Brilliant. The basic idea is interesting, an elderly woman with advancing dementia recalling a tragic family mystery. Could make a good film. Unfortunately it's just too long and I got fed up with the main characters constant indignation. By the time I got to 5 hours left I was so frustrated I had ceased caring about the story so I skipped forward to the last hour and got the conclusion. This was a agreat portrayal of someone going through dimensia from their perspective. The reader was very believable and i loved every minute of it. Wonderful story & insight into progressive dementia. Brilliant narration. Captivating characters - a story within a story. Should be mandatory listening for all Aged Care workers. Cant wait for more from this author. only sorry Audible Books keep cutting off mid chapters, even when fully downloaded.